Missing out with your Miata? I know you want to take your Mazda Miata NC around those corners as fast as possible, but every time you try it feels like your about to tip over and roll away! This is most likely due to failed OE front sway bar bushings. 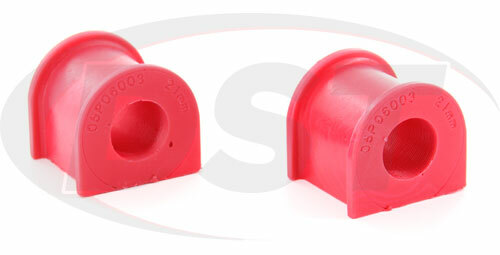 The OE bushings installed on your Miata are made with a soft rubber that's prone to stretching and cracking. 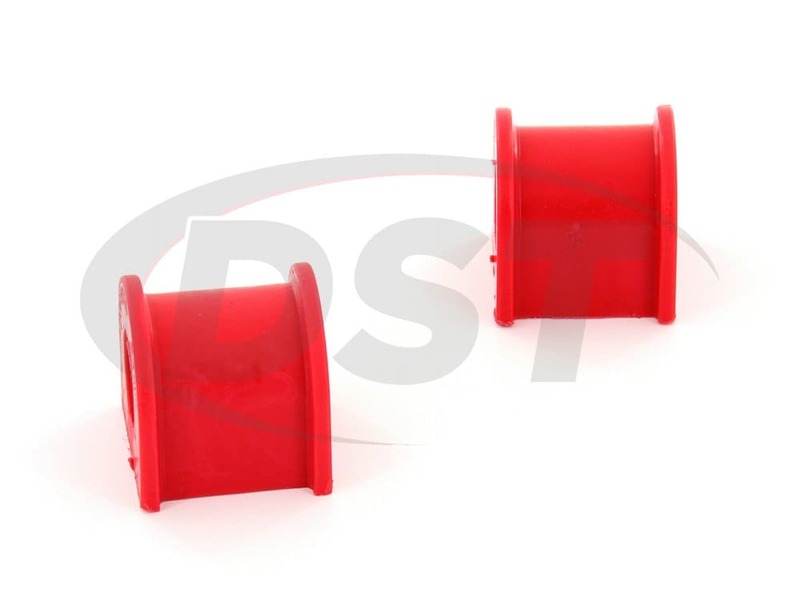 Eventually, these bushings rot away, leaving your sway bar loose and ineffective. Not only does this reduce your handling and cornering ability, but a loose sway bar could bang into other chassis parts, causing even more damage! 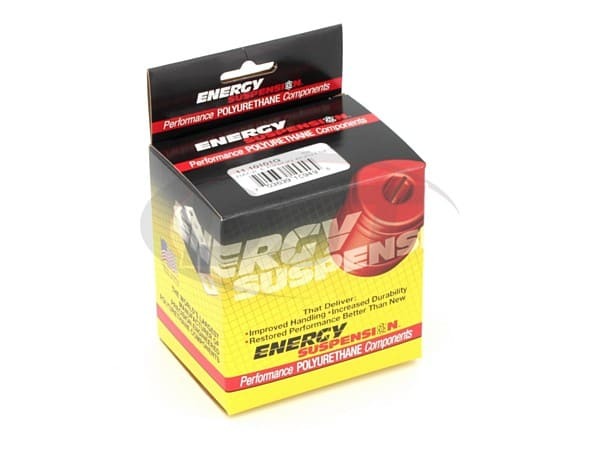 This is Energy Suspension's 11.5114, a set of HyperFlex polyurethane front sway bar bushings designed specifically for your 2006 - 2014 Mazda Miata NC. 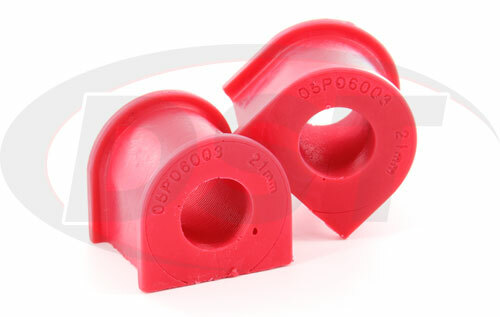 These HyperFlex polyurethane bushings not only outlast the old OE rubber but once installed they will make your sway bar perform as if it was an even larger bar! 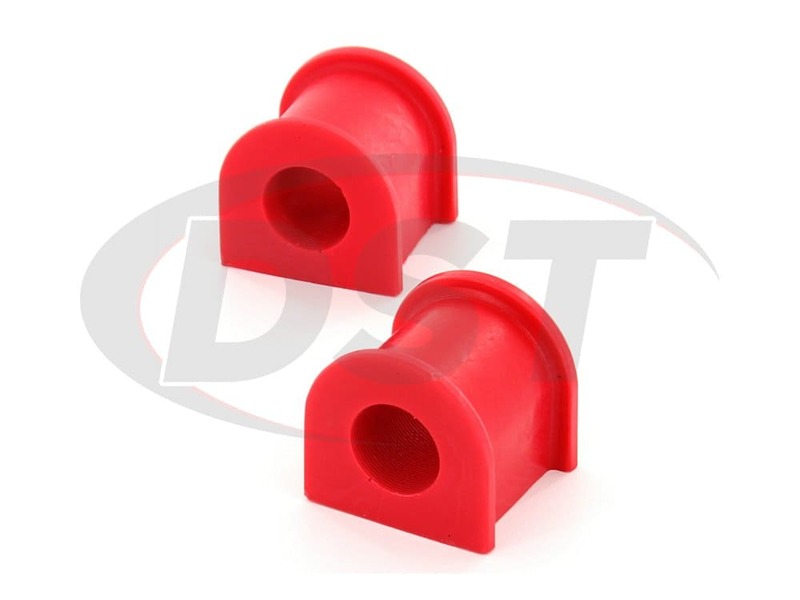 Now the 11.5114 is made to fit a 21mm front sway bar, here at DST we make sure to inform everyone that it's crucial to measure your sway bar before you buy bushings for it, that way you can be sure you got the correct size. 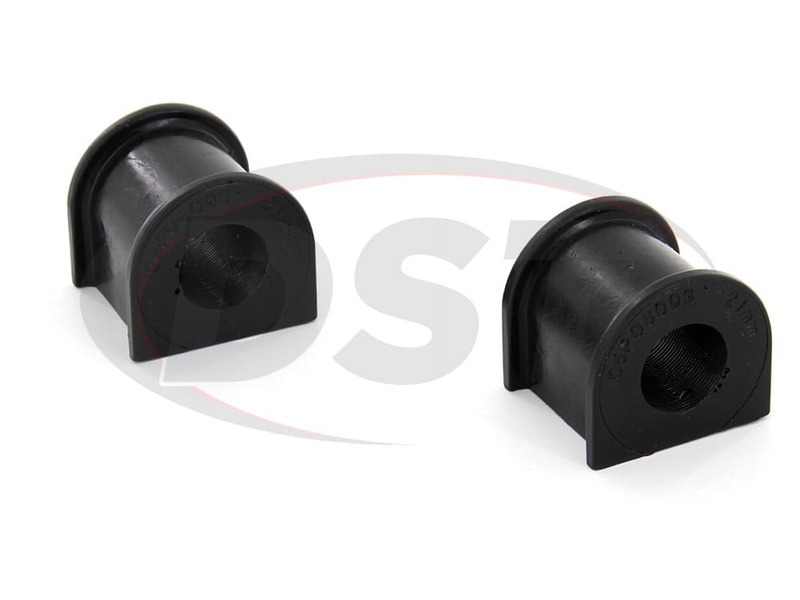 For more information on measuring your sway bar, check out our How-To Video on our universal sway bar bushings page! 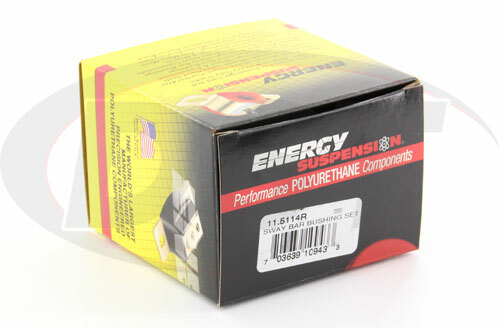 The 11.5114 was also made to be easy to install and cost-effective! 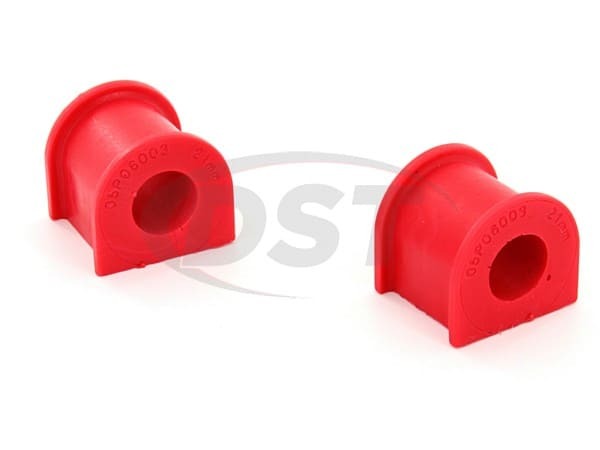 The bushings are made to fit your OE brackets and bolts to save you money on hardware and each bushing is designed with a split on the flat end so that you can just slip the bushing over the bar instead of having to slide it all the way into place. 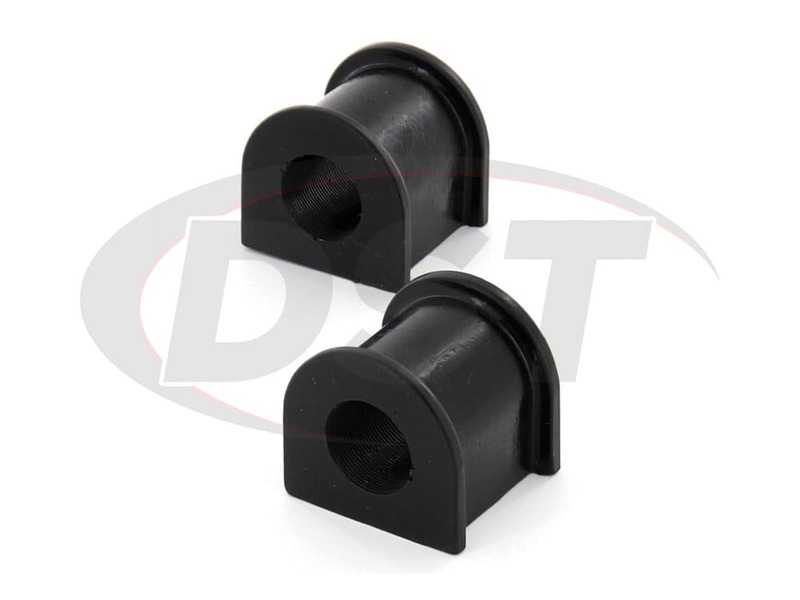 This split also allows you to keep the bar on your Miata during the install, saving you time and effort, and don't worry, once you tighten down the bushings using your OE brackets and bolts the gap will disappear.